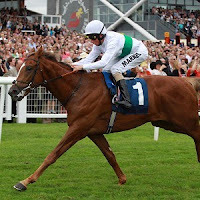 Thursday sees York's Dante meeting's signature race & it has traditionally been a great trial for the Derby & there are a few likely types this time around, we're taking a look at the big race & some of the supporting card to find the value on offer. Fencing finished 6th in the 2,000 Guineas behind this year's leading Derby contender Camelot & travelled really well in that race before fading late on & that can be excused as it was his seasonal debut. We've been impressed with Fencing ever since catching our eye on his maiden race & that impression was confirmed with an impressive Listed race win on just its second start, after that the Racing Post Trophy & 2,000 Guineas were top races & there's little shame in failing behind Camelot. Fencing has a nice American pedigree & will appreciate the drying ground at the track. Trainer John Gosden knows how to place a horse & has already had a great start to the meeting with his two runners winning on Wednesday (Gatewood & The Fugue), it looks like Gosden has always thought this distance should suit as he's never competed over less than 7 furlongs even as a juvenile. Aidan O'Brien's runners always have to be respected, especially with the form they are in at the moment & the once raced Ernest Hemingway is a danger, having won his maiden by 10 lengths & being out of a very good racemare in Cassydora. 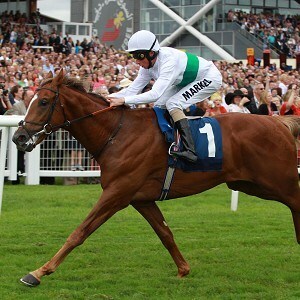 Mandaean was a Group One winner in France with Andre Fabre & now joins the Godolphin operation but these conditions are much quicker & that could prove tough on his first race of the season. Bonfire has only raced twice, winning impressively on debut & then coming 3rd in a French Group One close up behind 2,000 Guineas runner up French Fifteen, there's little value in the current odds available on Bonfire though & we'd rather stick with ones that have had a run in 2012. Odds of 6/1 for Fencing look good for a horse that has twice finished close to Camelot & should find these conditions to suit - get on. 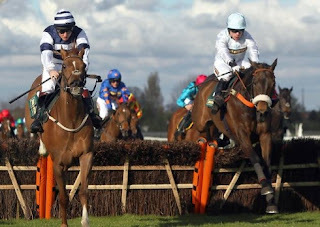 Trainer Malcolm Jefferson had a great end to the jumps season & hurdler Cape Tribulation was a major part of that, winning the always ultra competitive Pertemps final at Cheltenham & then off a high mark of 150 in a Grade 3 handicap at Aintree. Cape Tribulation returns to the flat off a mark 5 pounds lower than when last competing under the code but is right at the top of its game at the moment. We've been impressed with the way Cape Tribulation has travelled in its hurdle races & that will be a key attribute here, going that little bit quicker on the flat, although he'll be running off of top weight of 9-12 that is a full two stone less than when winning at Aintree & if he can cope carrying that kind of weight, 28 pounds less will help him travel even better. Cloudy Spirit is another nice hurdler & connections were confident enough to send her in against the outstanding Quevega at Cheltenham, where she finished 6th, she's a danger but we're happy to stick with Cape Tribulation at decent odds of 4/1.